It’s a situation that happens to everyone at some point or another. Lifestyles alter, needs change and one day you realise that the car you love no longer meets your needs. It might be you find yourself having to trade up to something bigger. Or perhaps circumstances are leading you towards something more practical, something nippy and economical that will get you from A to B. Well, the good news is that we’re here to help you find the best, safest and most effective way to sell your vehicle online, with a simple guide to the number of different options open to you. There can be all kinds of reasons why a particular site suits one person more than it does another. That’s fine. It’s all about finding the route you’re happy with. However, there are ways to assess different sites and the service/value they offer. Here we’ll take an overview of some of the sites that are currently popular with UK car sellers and buyers. If you’re a private seller (selling one car) advertising on Gumtree is free. However, if you’re posting a second car for sale while the first is still live, the second advert will cost you £15. Please note that Dealers need to pay to advertise on Gumtree. When you consider that Gumtree is the UK’s No.1 classified advert site, it’s certainly worth checking if it’s right for you. The site is very popular and attracts a lot of users. Your first two ads are free. Your advert needs to stand out and this can take a lot of time to set up. After your first two adverts you will have to pay to advertise. There's a charge for 'bumping up' your advert. Large ads from external sellers can distract attention from your advert. Gumtree is 'region specific' so you're only advertising to people in your area. The world’s best-known online auction site. Listing your vehicle for ‘auction’ or ‘buy it now’ on eBay costs £10. When you sell your vehicle using either of these methods you’ll be charged 1% of the vehicle’s selling price. You can avoid this ‘final value fee’ by paying £14.99 for a classified advert. Easy listing. No special skill required. There is not much risk involved. There's less profit potential on popular items. A number of fees can be incurred. A free car advert on motors.co.uk runs for 12 weeks and potentially reaches more than one million viewers a month. It takes time to create your advert and it can take 72 hours to list your ad. A lot of traffic can see your ad, so it can be overlooked. Auto Trader is the UK’s largest online automotive marketplace, with 92% of UK consumers know what it does. For vehicles valued under £1,000 – a basic two week advert costs £9.95, a three week advert costs £14.95 and a six week ‘premium’ advert costs £19.95. For vehicles valued at over £1,000 – a basic two week advert costs £36.95, a three weeks costs £45.95 and a six week ‘premium’ advert costs £56.95. It's easy to check the value of your car. You can sign up for free motoring alerts, track your car's value and create reminders for tax, MOT and other key dates. 80% of UK car dealers advertise on Auto Trader. The starting price for posting an advert is £7.95. With so many visitors it can be easy for your car to slip under the radar. If your car is more than 25-years old, you can list it for free with Exchange and Mart. If this is not the case, a two week advert costs £5 and a ten week advert costs £10. The monthly audience of 7.1 million people means that these charges still represent good value. Exchange and Mart promises not to increase your fees for at least 2 years. The Enquiry Manager reporting tool allows you to track your call and email leads. 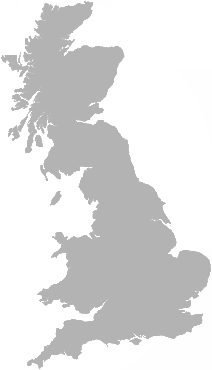 The site is linked to Newsquest's 165 regional motring websites and s1cars.com in Scotland, combining local penetration with comprehensive national reach. You have access to a number of good car buyer guides. Much like Auto Trader, with such exposure to a huge audience means that you may be contacted by spammers with no genuine interest in your car. The number of companies offering to buy your car is increasing. They offer convenience and are easy to use. Simply enter your car’s details on the website (model, age, mileage etc.) and you receive a valuation. The next step in the process is to take your car to a local depot to have it assessed. If all is well, the money is usually paid straight into your bank account. Admin fees may be payable. Even though the car buying companies will offer a price that allows them a margin for profit when they sell the car later on, the fact that the service is so straightforward and hassle-free, means that many people consider this a good value option as, in the long-run it offers them a considerable saving in time and effort. As with all things, it pays to be prepared. So, here are a few tips on preparing your vehicle and making the most of its selling potential. Before you put your car up for sale, or start thinking about a part-exchange deal, look online for cars that are of a similar age and trim level/condition to yours. It will give you a better picture of what it’s worth. Vehicles that have recently passed their MOT are more appealing. An MOT certificate gives buyers more confidence that the vehicle is in good condition. Also, make sure you have all of the relevant documentation to hand, for example: V5C (logbook), MOT certificates, service booklet, owner’s manual, invoices and receipts for significant work done or parts purchased. Collect all the keys together, including the special tool for unlocking alloy wheels. Also re-fit any parts or accessories that might have been removed, such as a tool kit or maybe a parcel shelf for the boot. Make sure your vehicle is clean, inside and out. Pay particular attention to the areas that the driver will see (seats, dashboard, steering wheel, window and carpets). You might also consider renovating scuffed alloy wheels or repairing slight paint or bodywork damage. If your phone has Bluetooth, check that your phonebook hasn’t been copied onto your car’s memory. Also, a built-in sat-nav might have the addresses of your home, your work and your friends all stored in its memory. It’s best to delete all of this before selling your vehicle. If you’re uncertain about how to do this, consult the manual or contact the manufacturer. Being upfront about your vehicle and answering questions truthfully will help make your sale straightforward. It also means that the buyer will have little legal comeback should the vehicle later develop faults. Here are a few pointers to ensure your car selling process is not just as smooth as possible, but as safe as possible. Be careful when it comes to giving out your personal information online. Don't leave people in your car with keys or your paperwork. If a buyer wishes to test drive the vehicle, make sure they have a valid driving licence and are insured to drive it. Watch out for forged banknotes. A banker’s draft is a more secure method of payment but can take two weeks or more to clear (and forgeries can still occur). Do not hand over the keys/documents until the funds are safely in your account. Most importantly, always be mindful of your own personal safety and security. As long as you have accurately described your car’s condition, bids on online auction sites are legally binding. Remember though, as the buyer may be purchasing the vehicle unseen, don’t expect to achieve the absolute best price. Be wary of bidders with no online history or activity, or with no positive feedback. And do not do business with anyone offering you a suspiciously high price to settle up outside of the site’s payment system (for example, if someone were to ask you for your bank account details). As the owner of the vehicle, you remain legally responsible for your car until the DVLA is notified of its sale, either by sending part of the V5C (logbook) to them or notifying the DVLA online. Any future full months’ car tax (VED) that you have paid will be refunded to the person named on the V5C. The new buyer will need to tax the car themselves. Before you sell, settle any outstanding finance with your lender. And remember to notify your insurer that you no longer own the car. The buyer will need to notify a warranty company, if applicable, about the change of ownership. Things such as servicing packages may also be transferable. When taking payment in a private sale, write out two receipts for any deposit or payment made. These should be signed by you and the buyer. Include the make, model and registration number of the car, the agreed price and how the money was received. Also write down the full names and addresses of both yourself and the buyer, and include the time and the date.